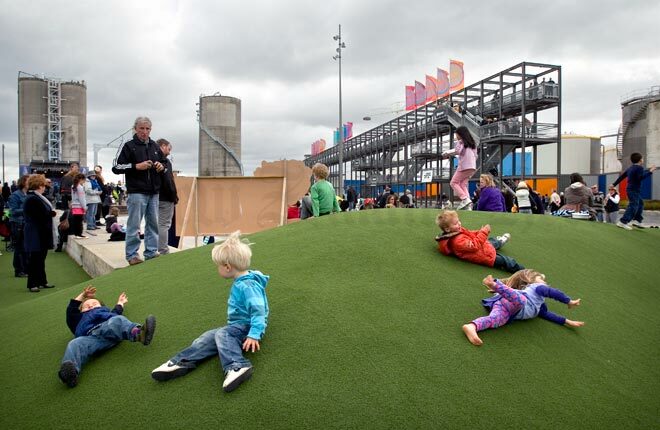 Children roll down the replica grassy knoll at the Wynyard Quarter, on Auckland's waterfront, in 2011. In the early 21st century some people believed that children were spending too much time indoors, were being 'cotton woolled' and were missing out on independent development. However, other parents believed that children needed constant supervision due to concerns such as traffic hazards and 'stranger danger'.